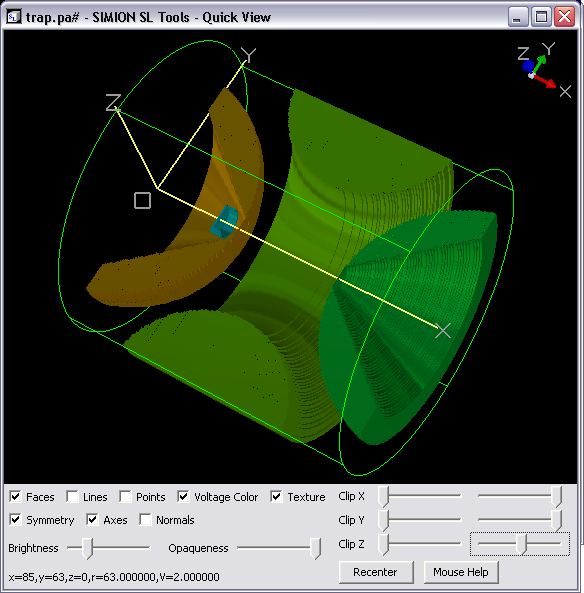 Convert 3D CAD (STL) files from your favorite CAD package to/from 3D SIMION PA files. Convert 2D bitmap images to/from 2D SIMION PA files. Extract/Import potential and potential gradient (i.e. field) maps as ASCII text files to/from refined PA files. Quickly view PA and STL files from Windows Explorer (OpenGL viewer). Fig. 20 Figure: 3D cut-away view of ion-trap PA file. Fig. 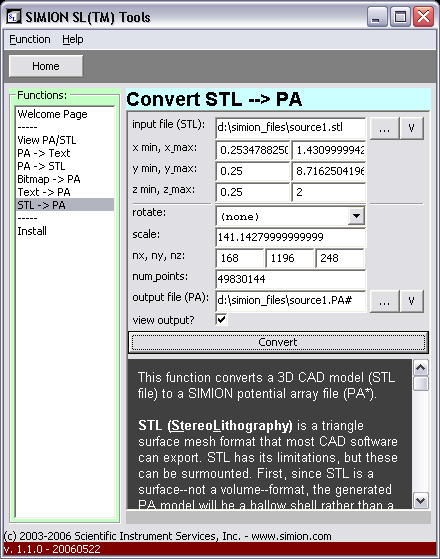 21 Figure: Conversion of STL file to PA file.